FRISCO, Texas (Feb. 10, 2017) – Injured veterans revisited their childhoods during a recent Wounded Warrior Project® (WWP) connection event at the National Videogame Museum. 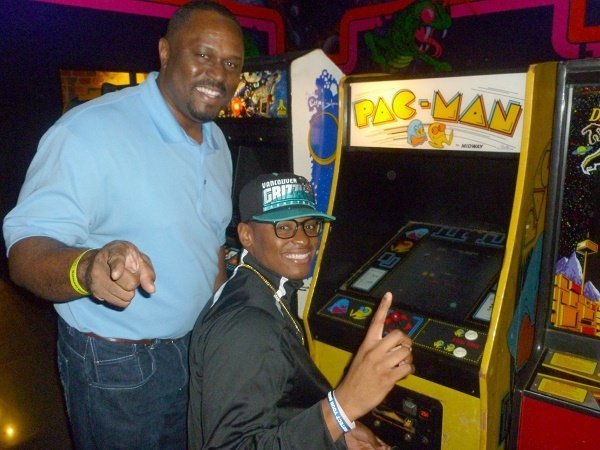 As they toured displays and tested their skills at the arcade, warriors and guests experienced what is possible at social events that get them out of the house and connected with fellow military families. Museum displays showcased the history of gaming from the 1970s through today. Music by Run DMC, Pat Benatar, and other artists added to the authenticity of each era’s displays as warriors enjoyed sharing their pasts with their children. Connection activities support the recovery needs of warriors by reintroducing them to the bonds experienced during military service. In a WWP survey of the injured warriors it serves, more than half of survey respondents (51.7 percent) talked with fellow veterans to address their mental health issues. WWP staff advised attendees of additional services to assist in their recoveries. WWP programs help injured veterans with mental health, physical health and wellness, career and benefits counseling, and connecting with other warriors. Generous donors make it possible for wounded warriors to benefit from program resources at no cost to them.